One member of the tribunal, Cecily Saunders, said she did not find Sam guilty as charged. Saunders, in an interview with SEARCHLIGHT on Tuesday, said while the two other members of the tribunal found Sam guilty of misconduct, she was the dissenting voice. The former director of audit said she decided to let her position be known, because her name was published in SEARCHLIGHT on May 17, as one of the members of the tribunal. The retired civil servant said had her name not been mentioned, she would not have found it necessary to speak publicly on the matter. However, having been mentioned, she needed to âclear her nameâ. Saunders retired in 2004 as director of audit, after having served 36 years in the civil service. During that time, she worked in several government departments, including acting as chief personnel officer, on more than one occasion. The former director of audit told SEARCHLIGHT that based on her vast experience, she is âwell aware of the rules and regulations of the public serviceâ and thus could not find Sam guilty. Sam, a former headteacher of the South Rivers Methodist School was fired by the Public Service Commission on May 15, after he was found guilty of acting contrary to Section 3.27 of the Civil Service Orders, by the majority of the members of the tribunal looking into the matter. The chairman of the tribunal appointed to enquire into the allegation of misconduct was assistant director of public prosecutions Colin John. 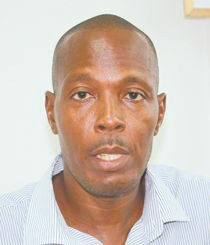 The other member was retired Superintendent of Police Aldric Williams. Sam, who was represented by counsel Jomo Thomas and Shirlan Barnwell, gave testimony before the Tribunal. Director of NEMO Howie Prince, Deputy Director Michelle Forbes and Permanent Secretary in the Ministry of National Security Godfred Pompey appeared as witnesses.